Treyarch’s Studio Design Director, alongside being active on Reddit overnight, was also active on Twitter with some additional comments on the studio and Call of Duty: Black Ops 4. Many people in his mentions have been asking about the frequency of new content being released for Call of Duty: Black Ops 4, and he first replied that “Season 3 is coming” and to “stay tuned.” He once again stated that the schedule is “more aggressive” than doing 4 DLC Packs a year time frame, but he only compares it to Black Ops 3, rather than recent Call of Duty games which have had more frequent community events like Call of Duty: WWII. I hear you. Season 3 isn't far away. Season schedule more aggressive than 4 DLC drops like the last game we made. Stay tuned. He also followed up in another tweet, in what appears to be making a comparison to Fortnite, Apex, and PUBG and said that they’re updating three different modes at the same time, versus those games only having one mode to update constantly. The world has changed. We used to do 4 DLC drops. All of us are learning and adapting how to do that with a game like this. We aren't just one mode with one map, and that complicates things. We will figure it out. He stated that “we aren’t just one mode with one map” like how Fortnite is, which does make it easier for them to focus a lot of their studio’s resources on the Battle Royale mode versus Treyarch investing into MP, Blackout, and Zombies. 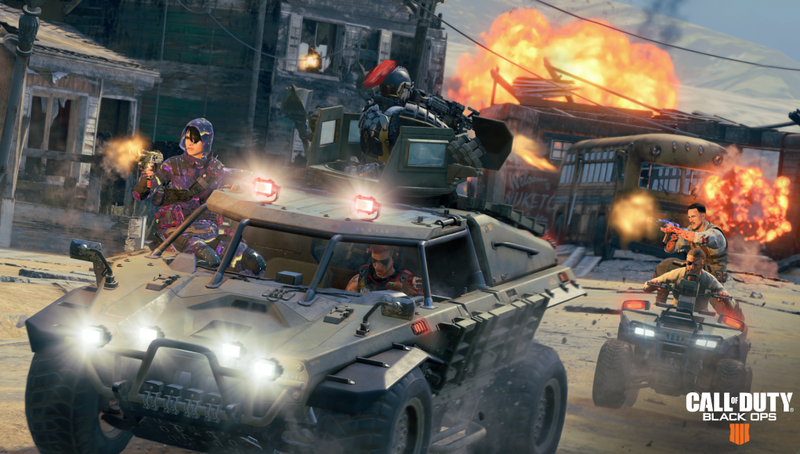 The next Operation for Black Ops 4 is expected to begin February 19. More details are expected next week.